Often a great talking point for us all is the cost of a new model or what we spend on a kit. We want better, more detailed and all singing and dancing kits and given the amount of new releases that come out we obviously will pay for them otherwise they wouldn't be there. What about the other modellers that can’t afford it, the new kid on the bock, not that I’m that old around here, but I put this short feature together to show that not everything needs to cost and arm and a leg. Many of the older kits can still be build into very enjoyable models and this one cost me £4.99 in Hannants, it was on the second hand shelf so no major expenditure. 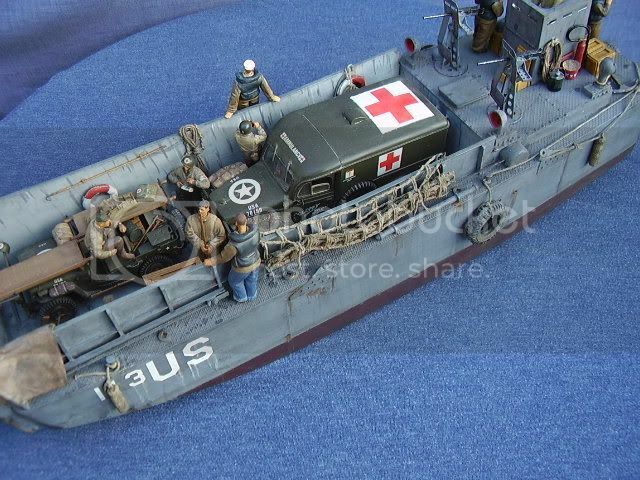 In fact the figure cost more than the kit but you could use a cheaper but equally useable figure to suit your needs. I chose this kit because it had the hood and because of the picture form the Imperial War Museum. This is my effort of a build of the Italeri Jeep kit No 314 Willys MB Jeep and Trailer, that has been around for many, many years. I used some of the Trazk PE Set 0058 and the British/Commonwealth Driver Figure form Ultracast. Additional stowage came from the spares box. The trailer went to a friend who needed one. So a pretty cheap but very enjoyable build and another good chance to experiment with some things and help someone out. Great stuff again Alan! It would be nice to see more dedicated articles/projects focusing around nice budget oriented builds.